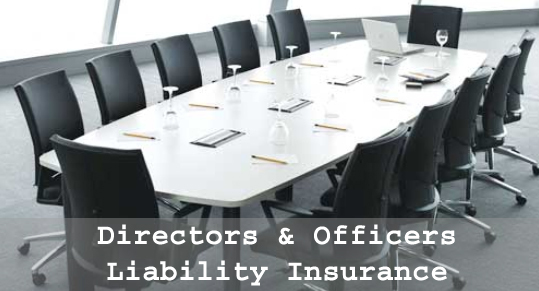 Directors & Officers Liability Insurance - Corporate Risks India Insurance Brokers Pvt. Ltd. There are few insurance policies which an organization must have in order to keep the unforeseen and unwarranted liabilities away from it which can hamper a company’s growth plans adversely. One such very important policy is Director and Officers (D & O) Liability Insurance Policy. D & O Liability Insurance policy provides an organization’s Directors and Officers a shield from losses or advancement of defense costs in case of a legal action brought upon them for alleged wrongful acts by them while serving in the company in the capacity of a Director or Officer. It is important to understand the word Wrongful Act which works as a trigger point to claim in Directors and Officers Liability Insurance Policy. to or that results in any violation of the UK Bribery Act 2010 (“Bribery Act”). Policy covers all the serving Directors, Non-Executive Directors, Retired Directors, Officers, Spouses, Legal Heirs, and Legal Representatives. New Subsidiary Cover – Policy will automatically extend to cover the New Subsidiaries from the date of its acquisition for 60 days or more. This extension is not given for entities which are listed. Discovery Period: Policy provides a 90 days of free discovery period of any claim under the policy. The discovery period can be extended to 1 year also on the payment of some additional premium. Lifetime run-off for Retired Insured Persons – Retired or resigned employees can be given lifetime of discovery period cover under the policy. There are few more covers available in this policy which are added on case to case basis. To know more about this policy please Contact Us.